The Denison Museum at Denison University is an art museum and much more, with significant collections of historical, cultural, as well as aesthetic value. 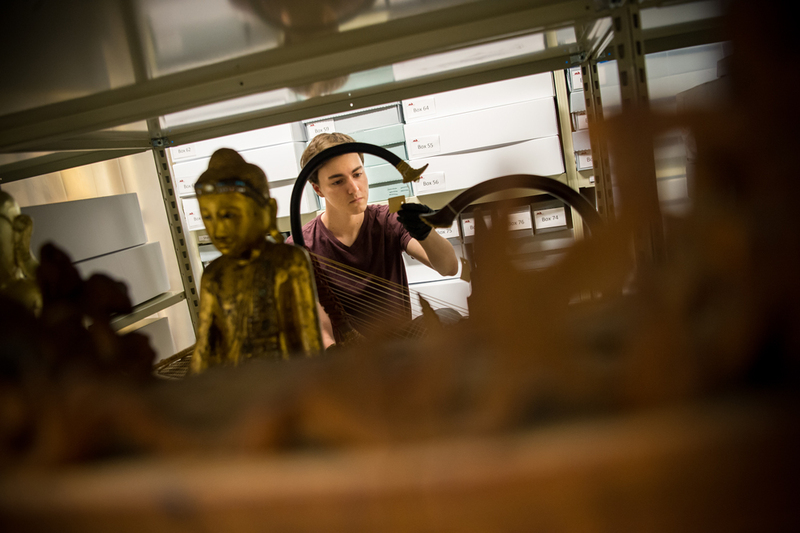 The collection contains more than 9,000 objects from all over the world, but with primary strengths in Asia, Europe, and North and Central America. The collection also spans a wide variety of media, including stone, wood, paper, lacquer, metal, ivory, and oils created over a 3,000 year period. For more information on using the collection for teaching or for conducting research on, please visit Teaching & Learning. The Asian collection comprises the largest percentage of the entire collection with about 3,300 items. Most of the objects come from Burma and China, with some pieces from Thailand. Denison also houses a Japanese netsuke collection, featuring about two hundred pieces mostly in ivory. The Asian collection also includes a small group of Vietnamese ceramics. The Burma (Myanmar) collection is of great cultural and historical importance and includes objects dating as far back as the 9th century CE. Much of this collection was acquired through Denison alumni who worked as teachers and missionaries in Burma. A highlight of the collection are the Buddha images from Burma and Thailand, of which the museum has eighty-­two items ranging in date from the 9th to the 20th centuries. Three of the most important and beautiful of the ‘Denison Buddhas’ are on display outside of the gallery in Burke Hall. Another highlight of the Asia collection are Chinese rubbings from Daniel Sheets Dye, a missionary to China during the first half of the twentieth century. The collection contains over four hundred rubbings of items from the Han, Tang, Song, and Qing Dynasties, as well as some pieces from the twentieth century. Bricks, inscriptions, calligraphy, and architectural decorative motifs of flora, figures, fauna, and geometric shapes form the basis of the collection. The most extensive set of rubbings derives from bricks of the Han Dynasty; the second most extensive part of the rubbing collection dates to the late 18th and early 19th centuries. There are about one thousand objects by U.S. (non-­native) artists in the Denison collection. Of these, most are prints, etchings, lithographs, drawings, and woodcuts. The remainder of the collection comprises paintings, sculpture, photographs, and watercolors. The largest portions of the collection are prints by Winslow Homer, Rockwell Kent, and John Sloan, and oil paintings by Charles Curran. Other artists represented include Claes Oldenburg, Luis Jimenez, John James Audubon, Thomas Hart Benton, Mary Cassatt, Eastman Johnson, Louise Nevelson, Currier and Ives, and James Whistler, among others. The Central American holdings, primarily from the Kuna culture located on the San Blas islands off the coast of Panama, range in date from the late nineteenth to the mid twentieth century and are of significant anthropological and historical importance. Ritual objects include bone carvings, stone figures and animal carvings, string weavings, soul boats, headdresses, ritual ceramic objects, and spirit guides of the dead. Household items consist of stools, pestles, water jugs, fans, rattles, machetes, and axes. Most important is the collection of Mola textiles, which date from the early to mid 20th century. 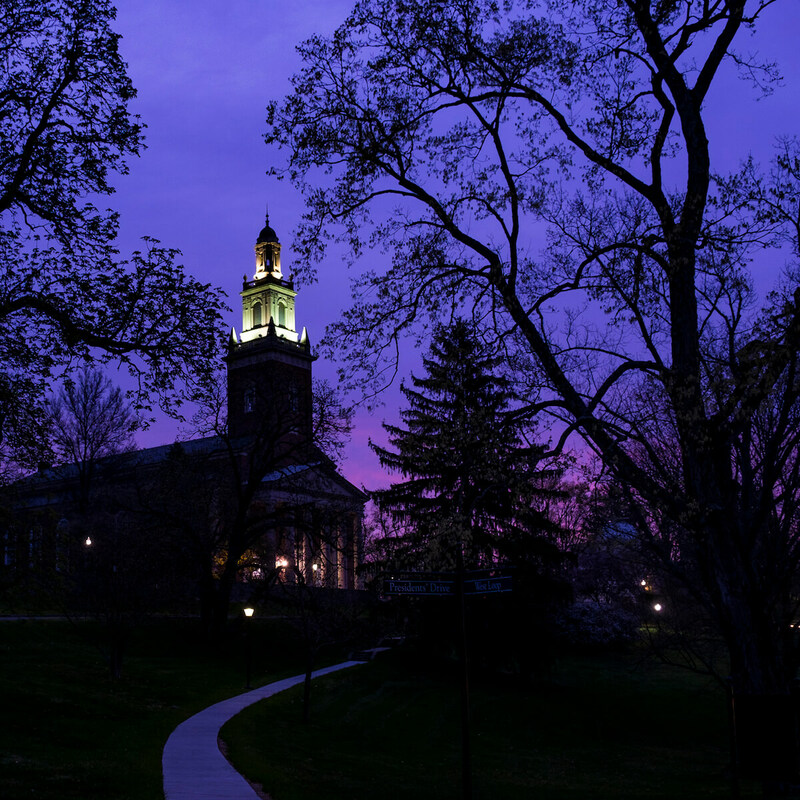 Denison is one of four institutions in the United States that have a significant collection of these items. The Kuna wood sculptures are also important, and Denison is particularly fortunate to have an unique carving of General MacArthur (affectionately known as Big Mac), made by the Kuna to ward off a plague, which stands over six feet high. Our European collection has a broad scope of objects and works of art ranging from the 15th century to the present. The collection primarily consists of prints, drawings, and paintings, as well medieval manuscript pages. The English collection consists of prints and drawings, silver objects, paintings, and ceramics from artists such as Jacob Epstein, George Romney, J.T.W. Turner, William Hogarth, and William Blake. Our Flemish collection is small, but of high quality and includes paintings and engravings produced by Sir Anthony van Dyck in the 17th century. Similar is our German collection, which contains woodcuts from the 15th and 16th centuries. Artists include Hans Sebold Beham, Casper Fraisinger, Heinrich Aldegrever, and Albrecht Durer. Of the more than three hundred objects in the French collection, most are prints and drawings from well­-known nineteenth and twentieth century artists, such as Rosa Honoré Daumier, Marcel Duchamp, Edgar Degas, H. Toulouse-­Lautrec, Maurice Vlaminck, and Henri Matisse. The Museum also has one hundred and thirty-­five prints by Jean Louis Forain, one of the largest such collections in the United States. Most important, perhaps, are oil paintings by Jules Breton (Brittany Girl), and Jules Lefebvre (Girl by the Sea). Among our Italian collection, the Museum’s Piranesi collection is particularly large, comprising seventy-­one prints, while the Spanish material includes an important 15th century votive panel painting and prints by Pablo Picasso, Joan Miro, and Salvador Dali. The African holdings represent another small portion of the collection with approximately seventy­-five objects. Groups whose cultures are represented in the collection include Asanté (Ghana), BaKongo (Angola and Democratic Republic of Congo), Senufo and Baulé (Ivory Coast), Yoruba (Nigeria), Bamana (Mali) and Fulsé (Burkina Faso). Objects include masks, sculpture, textiles, and basketry. The collection of old world ancient material represents another small portion with under one hundred pieces in the collection including Babylonian cuneiform tablets and cones, Egyptian funerary cones and papyrus, and architectural elements from ancient Roman landmarks like the Colosseum.